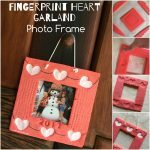 Today I am sharing this special kid-made fingerprint lights photo frame as part of the Kid-made Gifts Series! 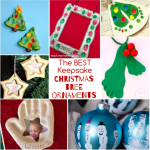 PS: Also check out the latest Christmas Tree Handprint Keepsake gift idea, Snowman Fingerprint Photo Frame and Fingerprint Wreath Ornament ! The dough was rolled out to about 1cm thick. Then, I used the plastic frame to press the photo frame shape. You don’t need to use a frame, you can simply use a ruler or use free hand and cut the shape with a knife. I added the date with the cookie stamps. 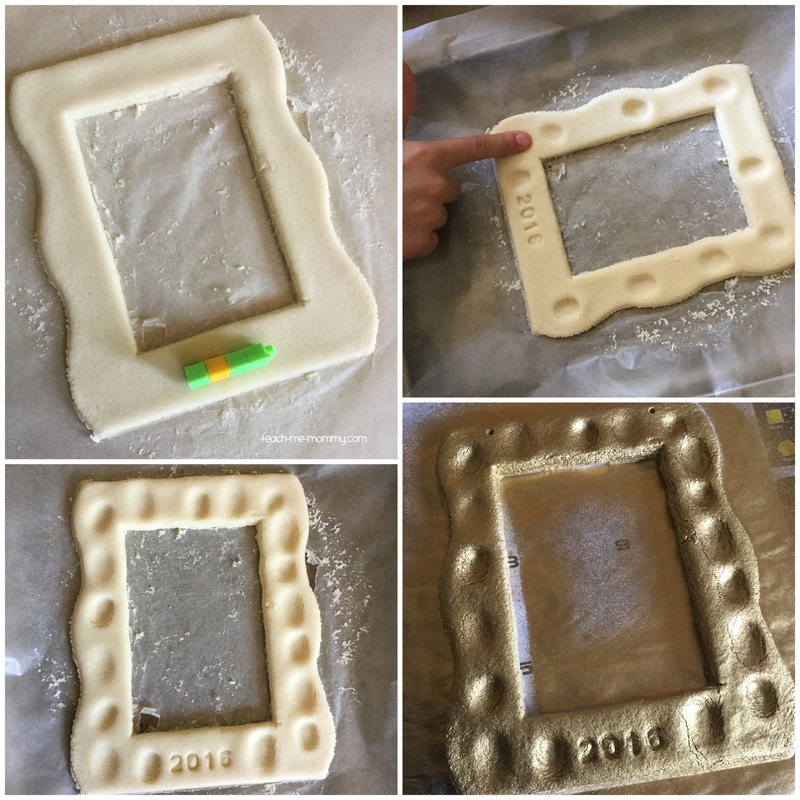 Next, the kids pressed their fingers all around the frame and two little holes were made for the ribbon. The frame dried in the oven(80’C for 3 hours) and I allowed for more overnight drying. The next day I spray painted it with the gold spray paint. You do not, however, have to use spray paint or paint it at all. The fingerprint indents were painted as lights and a marker finished it off. 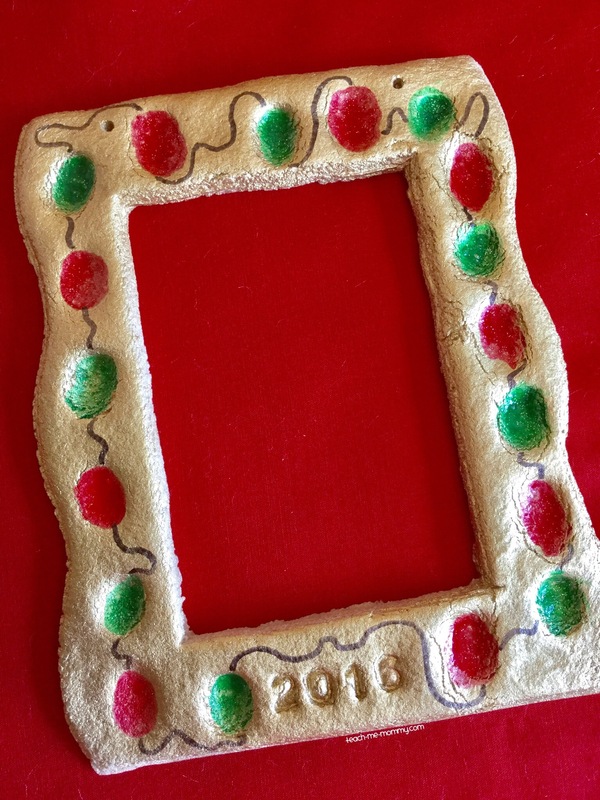 I added a ribbon and voila, a pretty photo frame(I still have to go print a recent photo of my two kids together), made with kids’ fingerprints making this a keepsake gift I bet any grandparent would love! Make it a bit smaller and it could also be used as a Christmas tree ornament! We have quite a collection of keepsake ideas, you can can see them all HERE! See this Fingerprint Heart Garland Frame, perfect for VDay or Mother’s Day! For a limited time only, get the Christmas Bundle and save 92%! I want my kids to make one for me it’s adorable!! Such a wonderful idea! Makes such a special gift too! This is so cute – I love the fingerprints! Hello! Would it be okay with you if we used one of your images for this craft, and linked back to your site from our website? Thank you! How do you attach a photo to it? Tape? Where do you get the cookie stamps? And are they expensive? These projects look like it will be fun to make with my grandchildren! Thanks for posting them! It’s not expensive. I bought mine from a local Chinese shop, but click on the blue link that says “alphabet cookie stamps” in the post and it will take you to an Amazon link. Did you put them on a cookie sheet in the oven? 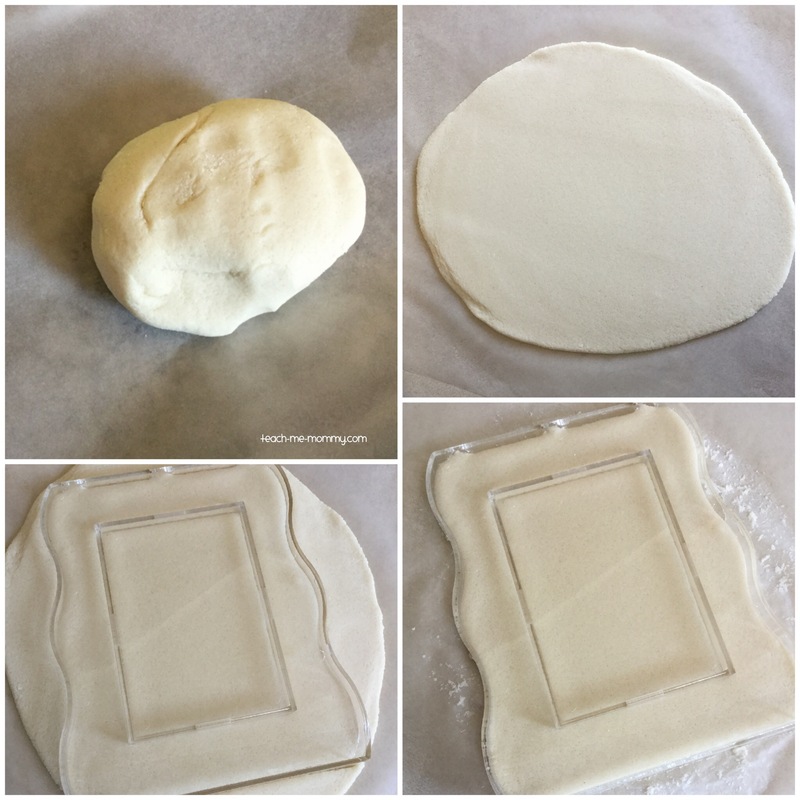 Did you just use the plastic Frame as a temple and removed it before you bake them, or did you leave the dough on the frame? How is it displayed? Can it be hung? Isn’t it heavy? Do you have to dry it in the oven, or can it dry overnight without baking?